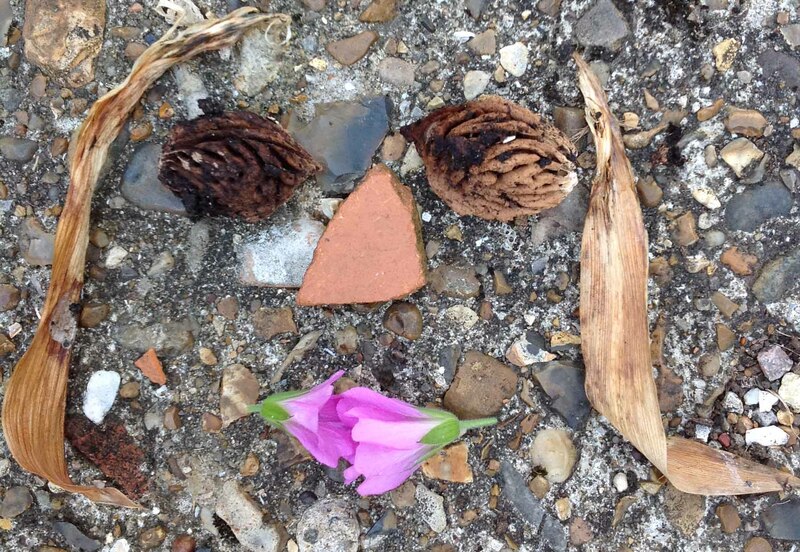 Here are my faces made from a few things I picked up in the garden or saw on my table. It was fun to see how spacing the eyes differently changed the face a lot. Vocabulary about the faces: naming the parts of the face which are less well known (e.g. eyebrow, forehead, chin). Talk about how the ‘person’ looks: happy, cross, friendly, nice, angry, old, scary, surprised… Maybe talk about what made the person feel that. This resource http://www.tes.co.uk/article.aspx?storycode=6054655 has some good pictures of verbs that go with emotions. Or print out some emoticons really large to talk about. The items you found for your faces – refer to Lynn’s list and say whether she used the same things or had things you couldn’t find. Comparing (what’s similar) and contrasting (what’s different) are good tasks at even a simple level for pushing attention skills and describing. Homonyms – words that have two distinct meanings – we have lots and children are very confused by them but may only indicate this confusion by a strange response to your instruction/comment: face (we are making faces, but children may often be instructed not to make/pull faces! ; children may have to face a partner and this refers to the way you have to stand); rock (US English seems to include quite small stones in the rocks category – we usually save rocks for very big stones, but children know rock as a body movement too). we get everything ready etc. etc. This entry was posted in Child language, Competence level, ESL / EFL / EAL, Helping children understand, Helping language skills at home, Promoting language development, Speech & Language Pathology, Speech & Language Therapy, Teaching and tagged Carla Sonheim, Describing vocabulary, Emotions, Idiom & metaphor, language development, Learning to mean, Lynn Whipple, US English versus UK English. Bookmark the permalink.